Do you have a wood burning stove or have a some with a wood-burning fireplace? If you lack space in your home for firewood, then you need to keep it outside. 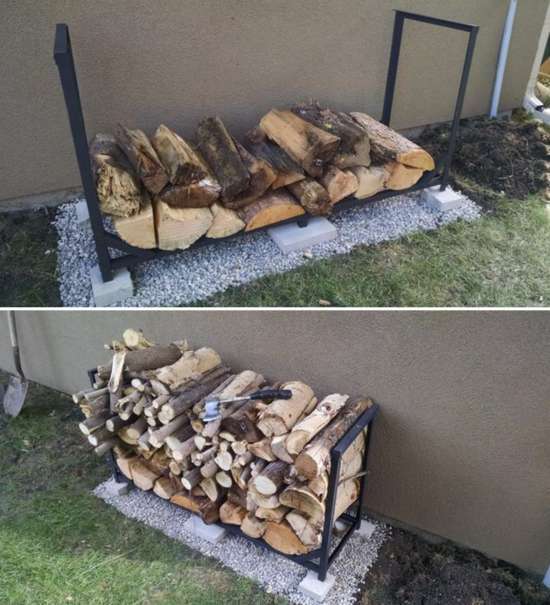 This is easy to do if you have a rack for your firewood. You can easily make a firewood rack if you enjoy doing DIY projects. One thing to keep in mind if you want to make a firewood rack is where it will be located. You need to keep firewood away from your home or any outbuilding that could catch on fire. The ground under your new firewood rack will also need to be prepared. You can make a firewood rack out of wood or metal. Metal will be a better material to use as it will not experience any problems when left outside in the elements. All you need to do is obtain the materials and supplies that are needed for the project.